The Old West is not just something that Hollywood created, it existed. The cowboy lifestyle helps give Texas a bit of mystique and is a big part of the state’s culture. 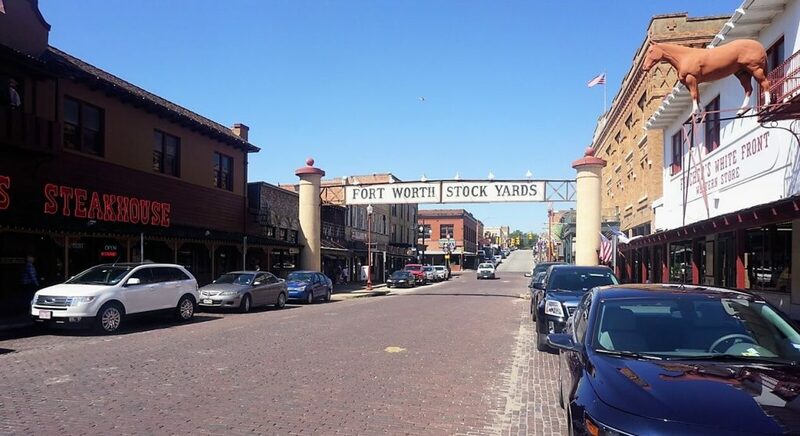 I recently visited the Fort Worth Stockyards with my mom so we could learn more about what that way of life was like. There is plenty to see, do, and of course, eat. It was a fun day. 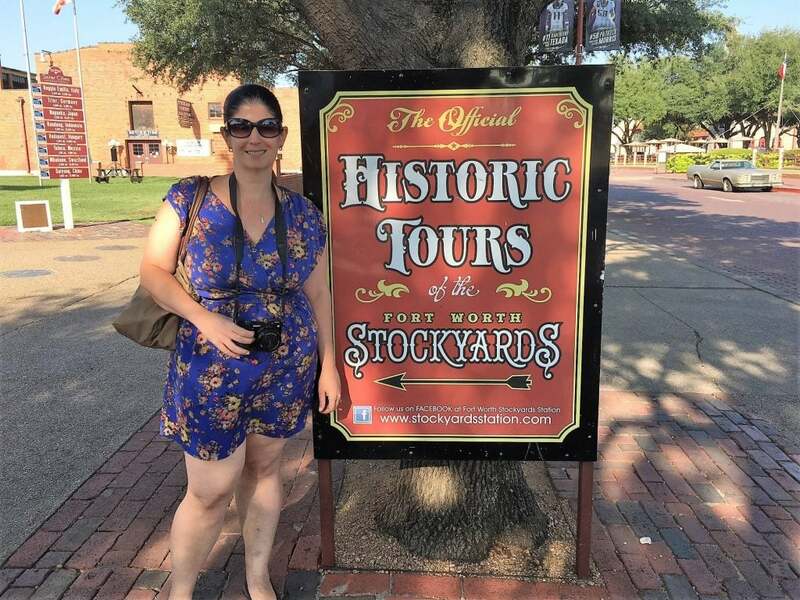 If you are planning a visit, I thought would share some suggestions for what to do at the Fort Worth Stockyards along with a little history. 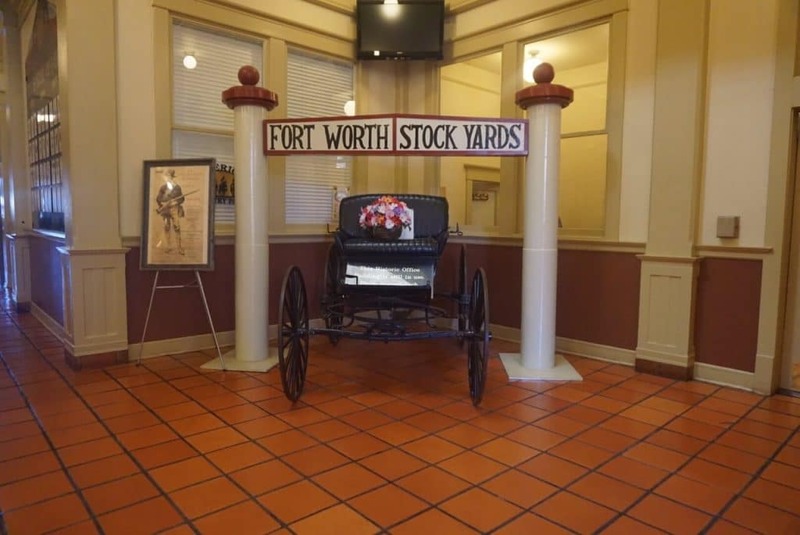 What is the Fort Worth Stockyards? 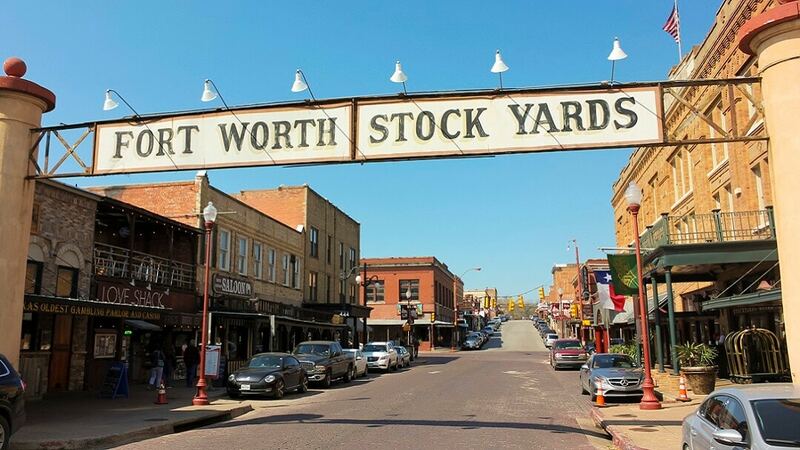 The Fort Worth Stockyards is a historic area (listed on the National Register of Historic Places) that is located just north of downtown Fort Worth, Texas. It used to be an important livestock center. Now, the Stockyards have become a very popular tourist attraction that celebrates its heritage and capitalizes on the “Cowtown” image of Fort Worth. In addition to being a historical area, it’s an entertainment and shopping district with plenty of fun things to do for all ages. 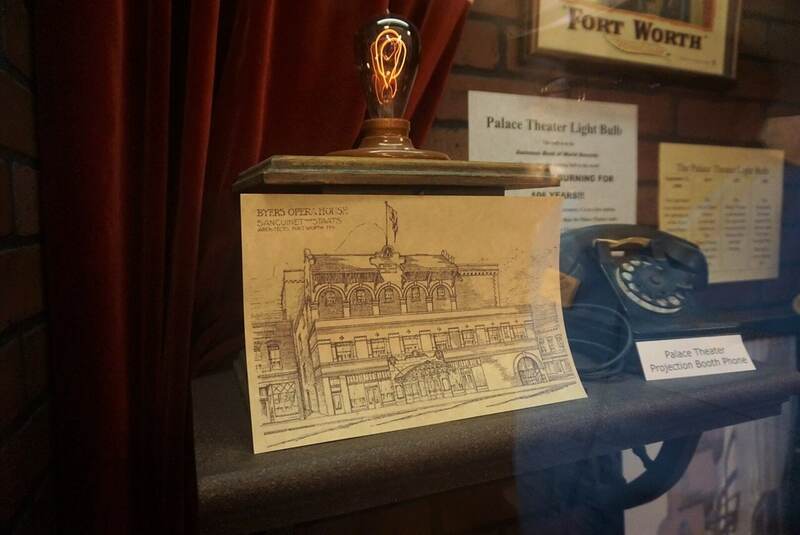 The Fort Worth Stockyards have an interesting history. At the end of the American Civil War, cattle were everywhere in Texas and no one had money to pay for them. People realized they could get a lot of money for the cattle if they could just get them up north. Moving cattle 800 miles was not easy then. The Fort Worth Stockyards developed as the place to rest before heading north. Years later businessmen realized that it would be more efficient if the meat packing plants came to Fort Worth instead of transporting the cattle up North. So in 1903, two large meat processing plants, Swift and Armour opened. The Stockyards were thriving. Anisa inside the Visitors Center. After World War II, the trucking industry developed. Transporting livestock by road quickly became more flexible and cost-efficient than the railroad. This meant the market favored the shipper, not the meat packer, and smaller operations were taking business away from central locations like the Stockyards. Both Armour and Swift had huge plants that were outdated and expensive, making it impossible to compete. Armour closed their Fort Worth plant in 1962, while Swift survived until 1971. In 1976, the North Fort Worth Historical Society was founded to preserve Fort Worth’s livestock heritage. The area was important to the Texas Cattle Industry and, as I learned on our tour, a place that impacted society as we know it today. If you want to learn more about the history and culture of Texas, you should also visit these small Texas towns. To learn about the history of the area, you should take the 90-minute guided walking tour of the Stockyards. Tours leave from the Visitors Center at 130 East Exchange Avenue three times a day. Ticket prices are $7 for adults, $6 for seniors, and $5 for children. Before leaving on our tour, we watched the “Spirit of The West” video to get a little historical background. After the short film, we met our tour guide, Ed Brown. Ed lived his whole life in Fort Worth and was born only a few miles away. He had a personality as big as the state of Texas and was a great storyteller. He told us stories about what the Stockyards were like when he was growing up and throughout its history. You could tell that the preservation of the history of the Stockyards was important to him. Anisa is ready for her walking tour of the Stockyards. Ed took us to the Stockyards Station. This was where all the trains came in and millions of cattle, horses, sheep, and pigs passed through. Much of the building is still original and some of the feed bins are still in place. We saw the tunnels called “the pig subway” that would lead the pigs to the meat packing plants. Animals no longer transit through the pig subway and some of the building has now been turned into cute shops and restaurants. The pig and sheep subway – tunnels that led the animals to the meat packing plants. The next stop on Ed’s tour was the “Wall Street of the West” also known as the Livestock Exchange Building. It was built in 1902 as an office for cattle traders. Superior Livestock Auctions, located on the ground floor, still conducts satellite auctions every Friday. 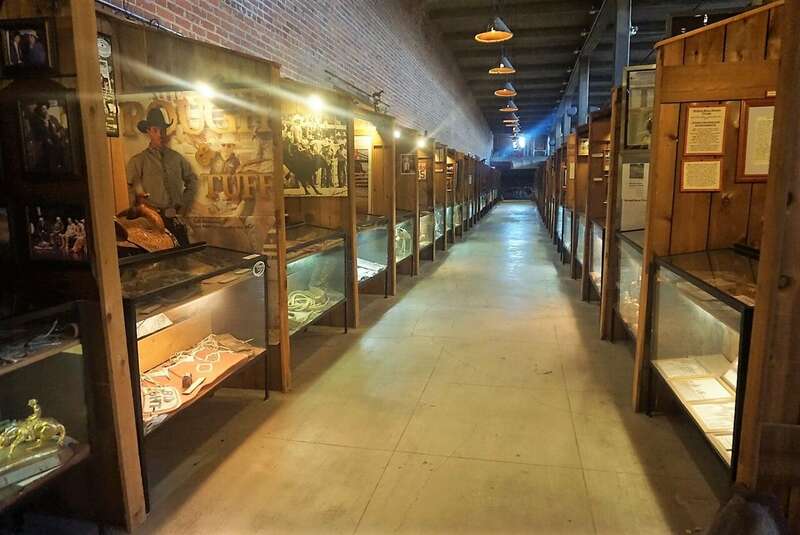 Inside the building, you will also find the Stockyards Museum which is run by the North Fort Worth Historical Society. Since our tour guide, Ed, also volunteers at the museum he took us inside quickly to show us a light bulb. Not just any light bulb but the one that is set to break the Guinness World Record – it’s been burning since September 21, 1908. On September 21, 2017, it will break the world record! Admission to the museum is $2 and kids 12 and under are free. We exited the Livestock Exchange Building through the back door which led to the area where the Longhorn cattle were kept. It was interesting to hear that these animals were once close to extinction, thank goodness that is no longer the case. 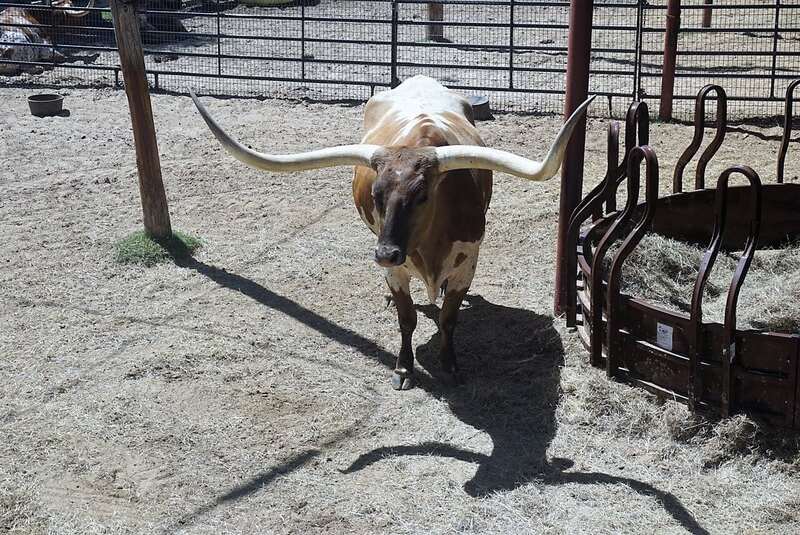 I may be a little biased because I went to the University of Texas and our mascot was the Longhorn, but I enjoyed watching these impressive animals. Inside the Livestock Exchange Building. This lightbulb is trying to get in the Guinness Book of World Records! The last stop on our tour was the Cowtown Coliseum, which was the first indoor coliseum in the United States. The building was refurbished in 1986 so it now has air conditioning and heating. In 1918, they hosted the world’s first indoor rodeo and they still have the Fort Worth Stockyards Rodeo every Friday and Saturday night. 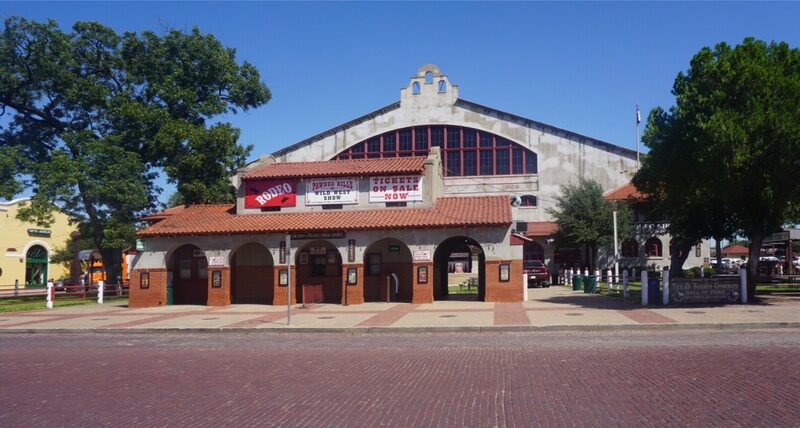 During the week, the building is used for all kinds of Fort Worth Stockyards events. When we were there, they were getting ready to host the circus. Cowtown Coliseum, where the first indoor rodeo was held. Twice a day, at 11:30 and 4 pm, there is a cattle drive through the stockyards that you can watch for free. A handful of cowboys lead a herd of Texas Longhorn cattle down East Exchange Avenue. Ed got everyone ready for the big event and warned us it was not going to be the running of the bulls but instead the walking of the Longhorns. The staff asked everyone to stay on the sidewalk and told us that the Longhorns would be coming close enough. Of course, there were a couple crazy people that dashed across the road right before the cattle drive. 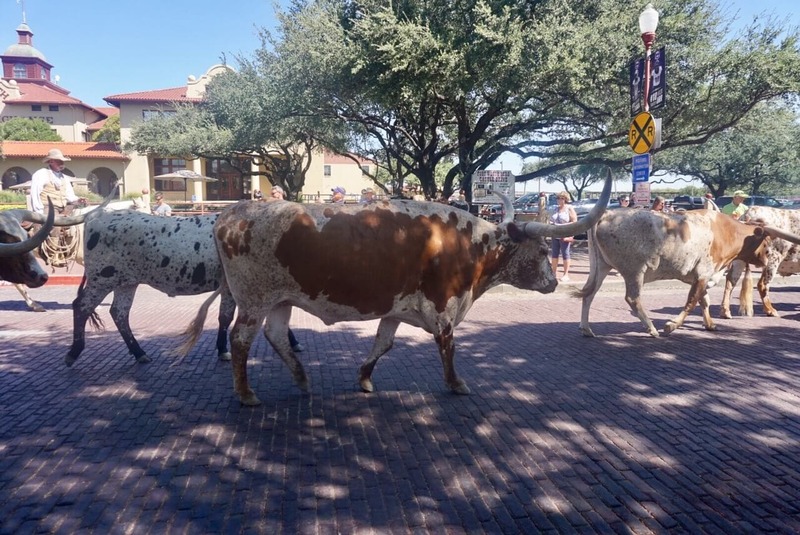 The Fort Worth Stockyards cattle drive only lasts a few minutes, not sure why they couldn’t just wait. YOU MIGHT ALSO LIKE: This Ain't My First Houston Livestock Show and Rodeo! It was interesting seeing the animals so close without any restraints. The cattle walked very calmly down the street without any incident. It looked like a well-oiled machine. I’m sure cattle drives weren’t like that in the Old West! Cowboys had to work very hard to move the cattle so far. Check out the video we made during the cattle drive to get a better feel for what it was like. While the majority of Hall of Fame members are rodeo cowboys, there were also players from the Dallas Cowboys football team, musicians, a doctor, and a rodeo clown. Each member of the Texas Cowboys Hall of Fame gets a booth to display their personal memorabilia. There was quite the collection! Some of my favorite members were Jay Novacek (Dallas Cowboys), Willie Nelson (musician), Pat Green (musician), Nolan Ryan (baseball player) and Lane Frost (bull rider). You may remember the movie “8 Seconds” where Luke Perry played Lane Frost? I should also note that they did not leave cowgirls out of the Hall of Fame, there were several barrel racers that got inducted. Barrel racing is a rodeo event where the horse and rider attempt to complete a cloverleaf pattern around preset barrels in the fastest time. One of the rows dedicated to the members of the Texas Cowboys Hall of Fame. 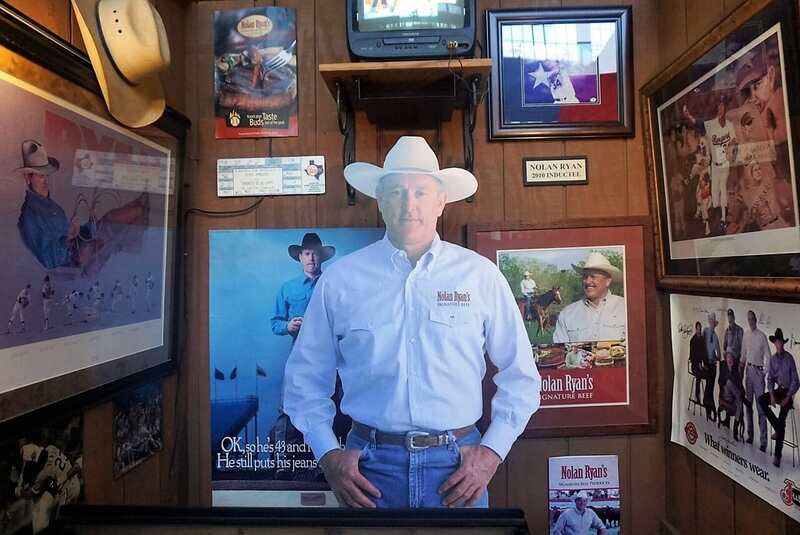 Nolan Ryan memorabilia displayed in the Texas Cowboys Hall of Fame. The Sterquell Wagon Collection is huge – you can’t miss it! It includes more than 60 wagons, buggies, and sleighs. The collection is diverse and includes a doctor’s buggy, milk delivery wagons, a photographer’s wagon with a dark room, and of course an “Amish Wagon” to name a few. In the back corner of the museum, there is a chuck wagon setup like it would be for a trail drive with cowboys (mannequins) sitting around a campfire. Next to the trail ride display, you will find the Applewhite-Clark exhibit, which features artifacts from such legendary figures as Santa Anna, Comanche chief Quanah Parker, and Texas Rangers John Coffee Hays and Samuel Walker. I wasn’t quite sure how General Santa Anna de Lopez fit into the Texas Cowboys Hall of Fame since he led the Mexican forces against the Texas Army! Still, it was pretty neat to see one of his military uniforms and his wooden leg. Admission to the Texas Cowboys Hall of Fame is $6 for Adults, $5 for seniors or those with a Student ID and $3 for children ages 5 – 12. Display showing a few cowboys around a campfire during a cattle drive. One milk delivery wagon on display inside the Texas Cowboys Hall of Fame. My brisket plate at Riscky’s BBQ. As part of our tour, we learned that Riscky’s BBQ in Stockyards Station had been around over 75 years as part of our tour so it seemed like a good choice. We were there on a Wednesday so we both got the brisket platter which was on special. The brisket was good and their sauce had a nice kick to it. I am always happy when they have fried okra as a side! As well as Riscky’s BBQ, you can also find nice steakhouses, good burgers, Mexican food and more along Exchange Avenue. Don’t worry, you will not go hungry, there is a Stockyards restaurant for every taste! The Stockyards is a great area for nightlife, especially if you are looking for a country bar. The most famous of the Stockyards bars is Billy Bob’s, the “World’s Largest Honky Tonk”. This bar has live bull riding every Friday and Saturday night and lots of big-name concerts. Although it is a traditional western activity, I recognize that not everyone will approve of bull riding. If you would prefer to give this a miss, Billy Bob’s is large enough to avoid the arena. Alternatively, there are several other country bars on Exchange Ave including the Rodeo Exchange, White Elephant Saloon, and Lil’ Red’s Longhorn Saloon that also have live country music. Lots of restaurants and bars line Exchange Avenue. Cowtown Cattle Pen Maze: You can compete against your friends and family, the clock, or just have fun trying to locate multiple checkpoints and finish the maze. The maze covers over 5,400 square feet and they are always changing up the wooden pathways (cattle pens of the old west) so it is always a challenge. Adults tickets are $6 and children are $5. Read reviews of the maze on Tripadvisor here. 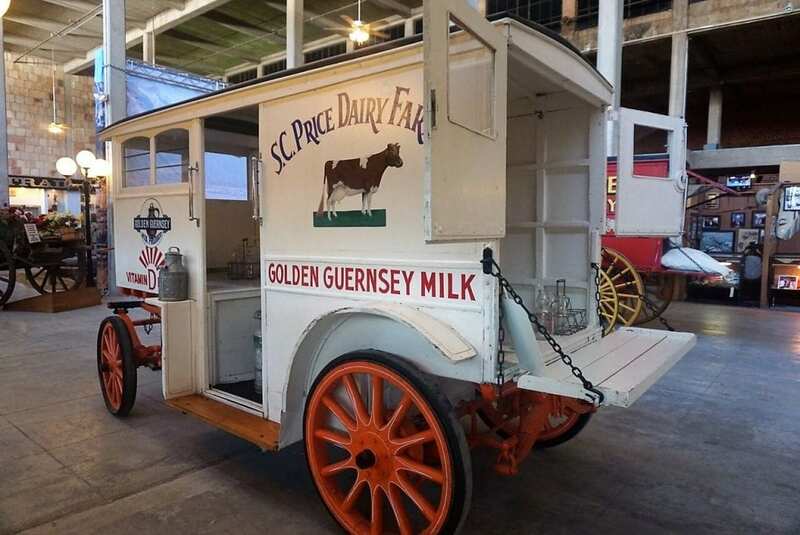 Grapevine Vintage Railroad: During most weekends, you can take a beautifully restored 1920’s Victorian coach from Grapevine, a suburb, to the Fort Worth Stockyards. Alternatively, you can take the hour-long Stockyards Trinity River Ride which begins and ends at Stockyards Station. Check their schedule for more details and be sure to check out the many themed weekends they have throughout the year. Read reviews of the railroad on Tripadvisor here. I loved watching the longhorns in the Stockyards. 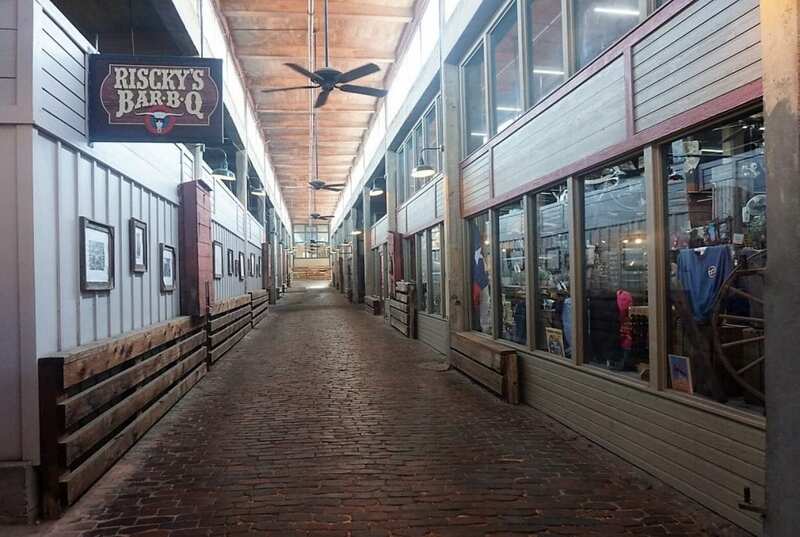 Stockyards Station is now full of shops, restaurants, and event space, but still stays true to its history. The Stockyards are located just a few miles north of downtown Fort Worth. For driving directions, I would recommend inputting the address of the Visitors Center, 130 E. Exchange Avenue. Fort Worth Stockyards parking is available across the street from the Visitors Center for $7 a day. Street parking, if you can find it, is free. To get to the Stockyards using public transportation, take the Trinity Railway Express (TRE) and get off at Fort Worth Intermodal Transportation Center (ITC) Station, then take the 12, 14 or 15 bus and get off at Main and Exchange. You might want to extend your visit to the Stockyards especially if you plan on staying out late at one of the bars. Lucky for you, there are a few hotels near the Stockyards that you can choose from. You can stay at the legendary Fort Worth Stockyards Hotel on Exchange Avenue (click to read the reviews on Tripadvisor) which has been welcoming guests for over 100 years. We peeked inside the lobby and it is beautifully decorated in elegant western style. If you are looking for a more budget-friendly option, you can also stay at the Hyatt Place Fort Worth Stockyards (click to read the reviews on Tripadvisor), located right behind the Visitors Center. Check current rates and availability for the Hyatt Place Fort Worth Stockyards here. The operating hours depend on the individual attraction, restaurant, store, or bar. In general, Stockyards Station stores are open 10 am to 7 pm, restaurants are open 11 am to 10 pm, and bars are open until 2 a.m. on the weekend. The Texas Cowboys Hall of Fame is open from 9 am to 5 pm. I enjoyed my day at the Fort Worth Stockyards and it was interesting to learn more about the historical significance of the area. Hopefully, I can go back and check out more of the restaurants and bars, maybe even go to the Fort Worth Texas Rodeo one night. I would also love to ride the historic train. I can see why the Stockyards are such a popular tourist attraction. Have you been to the Stockyards? Did you know about all the history? With all there is to see in the Stockyards, I would recommend spending a whole day. Don’t miss watching the Fort Worth Stockyards Cattle Drive which happens at 11:30 pm and 4 pm each day. There are plenty of bars in the Fort Worth Stockyards to keep you entertained in the evening. 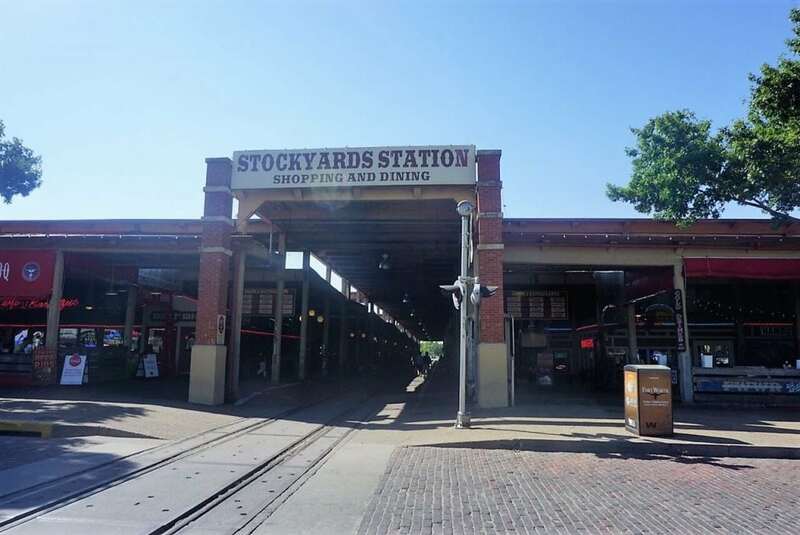 Learning the history of the Stockyards will definitely help you appreciate it more! Disclosure: No financial compensation was received. 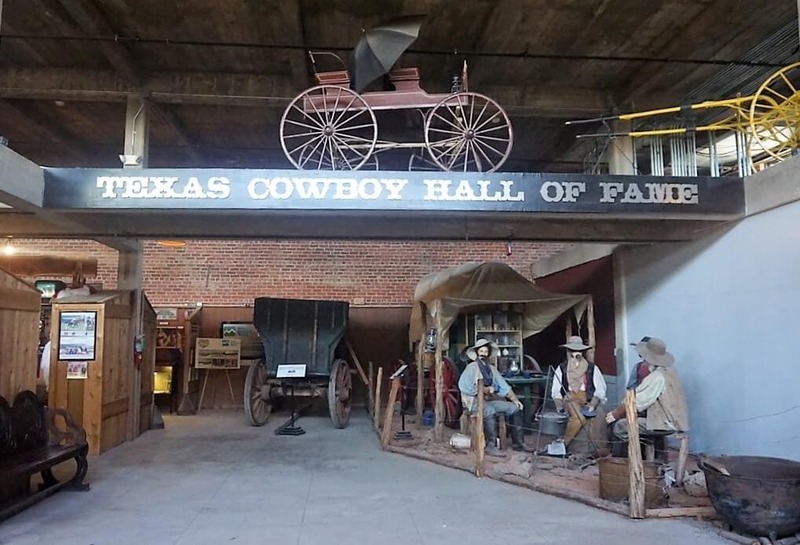 I received two complimentary walking tours and admissions to the Texas Cowboys Hall of Fame, so that we could share our experience with our readers. As always, opinions expressed here are my own. Wow what an interesting and informative day. Such great history there! Kelly – Thanks we had a great time. We love rich history towns. I have always wanted to see a long horn too! Liz – You would love the Stockyards! Lots of longhorns! i love historical tours!! such a fun day, plus the food here looks amazing! Jade – Yes we really enjoyed it. So interesting to learn about the history of this area. It looks very well-preserved! And wow, those longhorns are aptly named! I’ve spent some time with cows (not a lot) and they honestly scare me a little even though they’re usually so calm. They’re so big that even an inadvertent kick or stomp could do serious damage to a human. Those longhorns are even scarier! I think I’d stay away from their front more than their back, haha. Michelle – Yes I agree you have to be careful! The cowboys have a tough job and they make it look easy! What a fun day full of Texas history. I’d love to see the cattle drive and stockyards. I would have never thought about it as a wedding venue but I can see how that could be cute. Oh and I’m totally with you on the brisket and fried okra. Julie – It really was fun and interesting. You know the Stockyards are now a pretty popular place for weddings. 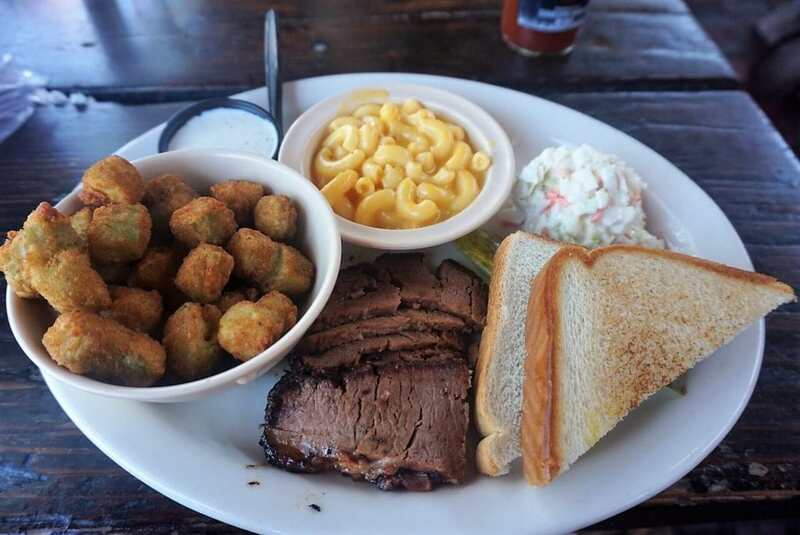 Glad to hear you like brisket and fried okra too! Yes rodeos are a lot of fun. Fried okra is one of my favorites! Glad you enjoyed the post. I’m sure you would enjoy the stockyards. Jane – Yes we have come a long way! I had no idea the stockyards began because of a need of what to do with the cattle? Thereby creating the cattle industry. 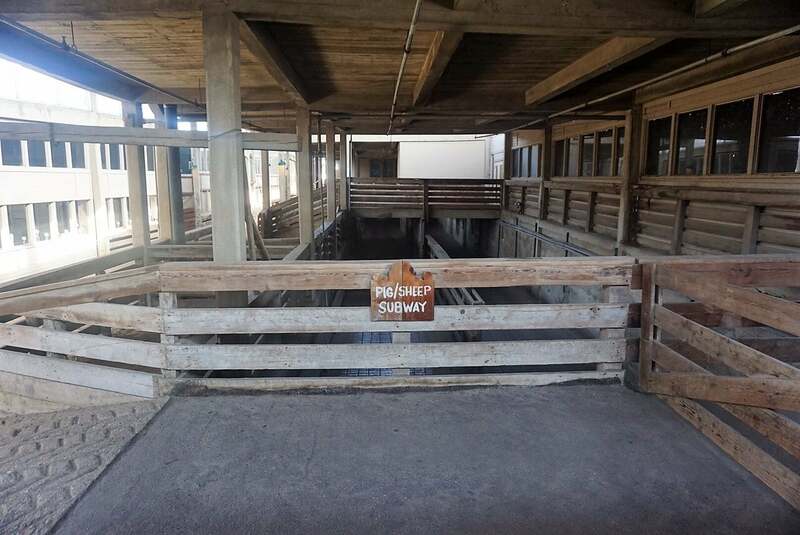 Not the cattle industry needing amenities. Interesting history. Sally – Yes it was a really interesting history lesson. Jessica – It actually is a very popular tourist attraction and yes the maze is so creative. I hope you get the chance to visit. I was already expecting a stampede like the one in Spain, the bulls chasing people through the alleys! But the longhorns look much more relaxed than the bulls in Spain, although the horns are quite intimidating! Marcelle – Ha! A stampede with longhorns would have been terrifying! Interesting bit of history and that brisket looks so good! Thanks for sharing! Amy – Yes it was a great day! Michelle – Glad to hear you love the Stockyards too. Yes, I need to go back to Billy Bob’s! Lolo – Glad to hear you like the Stockyard too! I’ve always been fascinated by the Old West (as I frequently see it on TV and has been mentioned extensively). Fort Worth Stockyards looks like a great place to learn about it and immerse with Texas’ culture. I love how they have preserved significant areas AND those collection of personal memorabilia at the Texas Cowboys Hall of Fame! Cool! Marvi – I hope you get the chance to visit and see it for yourself. It has been a number of years since I visited the Stockyards. Thanks for the reminder of how much there is to see and do there. Fort Worth is one of my favorite Texas cities—great zoo, amazing museums, and the FOOD! Melinda – Yes there is so much to do in Fort Worth! Anda – You really should go back. The Stockyards are a lot of fun. Plus, Fort Worth has excellent museums and a great zoo. Oh my gosh! I am embarrassed to call myself a Texan who grew up in Dallas and never went to this awesome place! This article is very thorough and I feel like I really missed out on never visiting the Stockyards. That lightbulb is crazy impressive! It sounds like y’all had an amazing day and that Ed was a great tour guide. When we move back to Dallas, I will make sure I visit. Christina – I didn’t spend much time in the Stockyards when I lived in Dallas. I think it is one of those things where you easily take for granted things in your own backyard! Yes! I hope you guys get to visit Texas soon! We visited the Stockyards a few years ago because I really wanted to see the cattle drive. The kids loved the Cattle Pen maze, too. I wish we had gone on that walking tour since it sounds like you found out a lot of very interesting info. And now I’m sad we missed the Texas Cowboy Hall of Fame also. I guess we need to go back, especially to see if that light bulb is still burning. Michele – Haha yes! 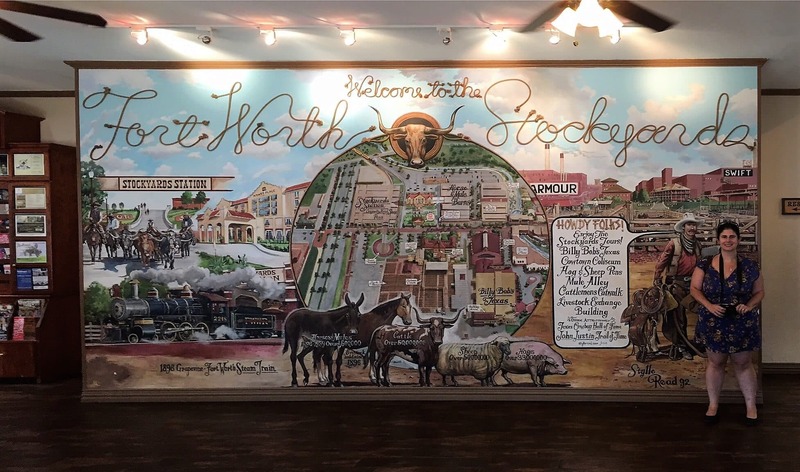 There is so much to do in the Stockyards definitely worth another visit! This post made me recall all the westerns from the yesteryears. I’m thinking Clint Eastwood. Such an interesting tour. I have to do this when we are in that part of the continent. I always like a good portion of history in my travels. Punita – Yes, I am sure you would enjoy it. This looks like such a cool place to explore! There’s so much history! It’s always fascinating to read how changes in transportation and fortunes of a region impacted on specific industries isn’t it? Great that the Fort Worth Stockyards are now set up as a historical attraction where you can learn more about the history and get an appreciation of how things used to be. Kavita – Yes, it was really fascinating hearing the history. I am glad they are preserving the Stockyards too. What an interesting insight to the history of the old west stockyards. This is something I would love to experience one day! It is good to see they are doing such wonderful work preserving a part of history. Kreete – Glad you enjoyed it and I agree I am so glad the area is so well preserved. I like that you provided some interesting facts and insights about the Fort Worth Stockyards. The photos you shared somewhat bring back memories of the wild west most specifically the Stockyards Station and the Cowtown Coliseum. I could only imagine how amazing it feels like to be there personally. I wish I could visit the place in the near future. Thanks. Bobby – Thank you and glad you enjoyed the post. I hope you get to visit the Stockyards soon!